WSGS Journal. 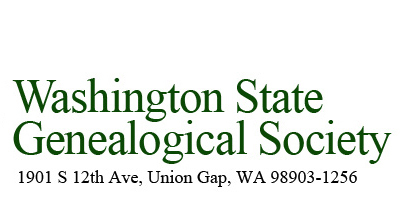 WSGS published three volumes of The Washington State Genealogist, from 2006 through 2009, as a journal of research information from state, local and private records and stories of families who helped settle and build the Territory and State of Washington. The journal was designed for use especially by the smaller societies which did not have the resources to publish their own journal but wanted to have their research efforts published in a widely distributed publication.